FBI Director James Comey wrote in a letter to Congressional leaders Sunday that the agency has not found anything new that would warrant charges against Democratic presidential nominee Hillary Clinton for her use of a private email server while secretary of state. “Based on our review, we have not changed our conclusions that we expressed in July with respect to Secretary Clinton,” Comey wrote Sunday, in a letter sent to members of Congress and released by Rep. Adam Schiff (D-California). This summer, the FBI announced that after a full investigation into Clinton’s use of a private email server, it was not recommending criminal charges against her. However, in a surprise move, Comey wrote to Congress on Oct. 28 -- barely ten days before Election Day -- to say that the agency was taking steps to review new emails relating to Clinton’s case. That news was then leaked by Rep. Jason Chaffetz (R-Utah) and the letter began to circulate more widely. The new emails came from the laptop of former New York Rep. Anthony Weiner, the estranged husband of Clinton aide Huma Abedin. That announcement upended the 2016 race between Clinton and GOP nominee Donald Trump, with the Trump campaign praising Comey’s actions and Democrats expressing concern that the FBI would make such an “unprecedented” move so close to Election Day. 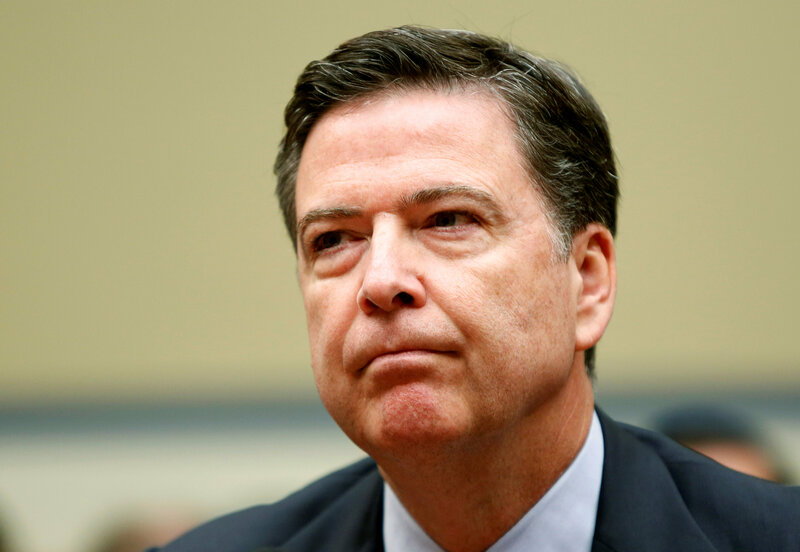 A law enforcement source told CBS News senior investigative producer Pat Milton that Comey reached his decision on not recommending charges Sunday shortly before he sent the letter to Congress. Comey reportedly had interaction with the Department of Justice before sending the letter to Congress, the source said. However, it’s not clear as to whether he spoke with Attorney General Loretta Lynch directly. The bulk of emails to and from Clinton which were discovered on Anthony Weiner’s laptop were found to be either personal emails or duplicates of emails previously reviewed by the FBI, the source said. Others had to be painstakingly investigated to determine if they contained sensitive national security matters. Dozens of FBI agents worked as fast as they could to conduct a comprehensive and thorough review. The assistance of special software helped in the efficiency of the process. Trump, too, responded to the news at a rally in Minneapolis. “You have to understand, it’s a rigged system,” he said. “And she’s protected.” And then in Sterling Heights, Michigan, he cast doubt on the FBI’s ability to process the emails so quickly. Republican National Committee Chairman Reince Priebus said the FBI’s initial findings about Clinton’s email practices were “a damning and unprecedented indictment of her judgment” -- and that the new statement doesn’t change anything.